Thanks to the MakerDAO team for their feedback on this post, and for their openness to constructive criticism! MakerDAO’s Dai has received the lion’s share of stablecoin coverage in recent months, with only Basis as a close runner-up. (Read our analysis of the Basis protocol here.) There are many reasons to be positive on Dai: the stabilization algorithm is well-thought-out, and they have a large and well-capitalized team behind it. In addition, it minimizes the risks to everyday users. However, we believe Dai will ultimately not work. Even if its stabilization algorithm could maintain the peg — which we are skeptical of — there’s a serious risk that it won’t be able to scale. Dai is tough to analyze. It confuses people. This is partly because it iscomplicated, containing several interacting mechanisms; partly because there are different versions of the Dai protocol, which are sometimes confused, and partly because there is no canonical documentation. Because Dai’s stabilization algorithm is in fact complicated, to explain why we’re concerned it won’t succeed we must examine the protocol in detail. This makes this post especially dense — definitely not light reading! If you feel you have a good enough understanding of how Dai works, you can skip ahead to part 2, which goes into detail on Dai’s stabilization mechanisms, or part 3, where we lay out our full assessment of Dai. Dai lacks strong price stabilization mechanisms and will have a hard time keeping the price tightly pegged in the mid run. Still, it will likely stay relatively stable. Dai’s supply will likely be limited, and Dai will not be able to meet a potentially very large demand for stablecoins. We believe Dai will be unable to scale to become a global stable currency. However, Dai will likely put stablecoin users at little risk. Dai is more resilient to crypto crashes than it seems. Finally, Maker previously planned to include an additional stabilization mechanism in the mature version of Dai, the Target Rate Feedback Mechanism, which they recently decided to cut out. This is fortunate from our perspective, as we believe it was poorly designed from a process control perspective. Although the previous inclusion shows some bad judgment on their part, the removal exemplifies an ability to correct their errors and iteratively improve. As mentioned before, Dai is hard to analyse. In this two-part section we first go over why precisely Dai is hard to analyse and then break Dai down into its various components and explain them. The Maker team has been working on Dai for three years, adding, refining, and removing pieces. There have been many different versions of this protocol, and it is not finished yet. They’ve launched both an alpha (“Sai”), and a beta version (“Dai 1.0”). This summer the Maker team plans to launch the full version: Multi-Collateral Dai (“Dai 2.0”?). The version up and running right now is Dai 1.0. It is a beta test and differs from the upcoming full version in important ways. The full version’s behavior determines Dai’s success, and is the focus of this post. When not otherwise specified, we’re referring to the full version. How does one know what the full version will look like? Maker provides no single canonical up-to-date document that describes it exhaustively. However, they compensate for a lack of canonical specification with a lot of documentation. The documents are from different periods and describe different versions of Dai. The white paper is the most recent document and gives a high level overview of Dai 1.0 and of Multi-Collateral Dai. The purple paper fills in some details about Multi-Collateral Dai. The market dynamics simulation paper gives background and simulates an old version of Dai. Chat logs and Reddit posts give an idea about what future versions of the system might look like. One can, in part, understand this lack of canonical specification. Some parts of the mature system may not be decided yet, and even for the parts that are decided it may not make sense to publish them right after they are decided upon. It’s laborious to keep up-to-date documentation for a complex and evolving system. An illustrative example of Dai’s changing nature and confusing communication is the Target Rate Feedback Mechanism (TRFM). The TRFM was a stabilization mechanism that Maker token holders would have been able to activate in emergencies via the governance system. It would have autonomously adjusted incentives both for Collateralized Debt Position (CDP) creation and for Dai holding, to bring the Dai market price closer to the target price by changing the target price. If it were activated, Dai would temporarily de-peg. The TRFM example highlights both how Maker continually keeps developing and improving their system and their lack of clear communication: not even their white paper accurately describes the intended mature system, and a major change to their system can only be found hidden in a reddit thread. It is positive that the Maker team keeps improving Dai, rather than rigidly sticking to premature protocol designs. However, these continuous changes make it harder to understand and assess the protocol. We believe that this, in addition to the sheer complexity of the protocol, is why people have had trouble assessing it. Again, to route around this confusion we’ll always be talking about the full version unless we’ve clearly stated otherwise, and will try to clearly distinguish which different versions of the protocol we’re talking about when we diverge. In the next section we’ll break Dai into its various components and explain how those work together. At its core, the way that the Dai system works is via incentivizing individual users to lock up collateral on-chain in order to issue Dai to themselves. 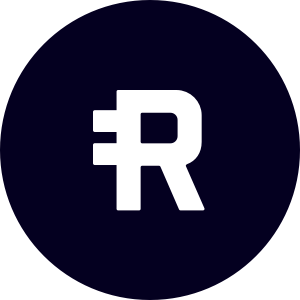 The system is composed of two tokens: Dai, the stablecoin, and MKR, an equity and governance token. Collateralized Debt Positions (CDPs). CDPs are like smart contract machines that people can use to issue Dai, by locking up collateral. The protocol auto-liquidates the collateral in CDPs if the collateral-to-debt ratio gets too low as a result of the collateral falling in value. This is Dai’s core mechanism for issuing, backing and burning Dai. Support for multiple types of collateral. Currently a CDP can only accept ETH for collateral. The full version of Dai will have support for many different types of on-chain collateral, by having different CDP types. Global settlement. Global settlement is a reset button indirectly controlled by MKR token holders. It freezes the protocol and gives Dai holders and CDP holders their share of the system’s collateral. Protocol governance. MKR holders govern the protocol through on-chain voting. In what follows, we’ll first look at how the Dai protocol works for a single collateral type — how Dai are issued, backed and burned. That includes explaining how users lock up collateral to issue Dai, and why they would do that. We’ll also go over the protocol’s mechanisms for ensuring that Dai has sufficient backing. Then, we’ll see how the system handles multiple types of collateral. Next, we’ll introduce the global settlement mechanism, which serves as a stabilization mechanism and a safeguard against attacks. This accounts for Dai’s core mechanisms for issuing and burning Dai, and for ensuring that Dai is backed by decentralized collateral. We’ll end by explaining how holders of the secondary equity token, MKR, effectively govern Dai. Let’s look at Dai’s central mechanism: a stablecoin backed by crypto assets locked up in a smart contract, protected by automatic collateral liquidations. Every attempt to back a stablecoin via decentralized collateral must overcome the volatility problem: Each Dai token must be backed by at least $1 in value (Dai is pegged to the dollar), to stay well-collateralized. However, cryptoassets are volatile and often lose value. An initial $1 in ETH that’s backing a $1 Dai token could rapidly decrease in value. With less than $1 backing each Dai, Dai becomes undercollateralized and its peg might break. A natural approach to this problem is overcollateralization. Say crypto assets’ value never falls below 50% of their maximum value. If that is the case, then Maker can ensure that they always have $1 backing for each Dai by starting out with $2 in collateral. However, the overcollateralization approach runs into the problem that predicting future maximum value drops for crypto assets is really hard. Say you had bet on 50%. Well, tough luck: ETH recently dropped by almost 70%. Because of this we can’t rule out that drops as large, or even larger, will happen to ETH or other cryptoassets in the future. Maker’s solution is to automatically sell (“auto-liquidate”) collateral when needed, using a smart contract to ensure that each Dai is backed by more than $1 in crypto assets. To issue Dai, you lock up collateral worth more than 150% of the issued Dai in a smart contract called a CDP, or Collateralized Debt Position. CDPs let you lock up collateral and autonomously take loans against the collateral. The loan is in the form of Dai tokens, which get minted on the fly, and you take on a corresponding debt in terms of Dai — i.e. you’ll need to repay the Dai later. The CDP keeps track of the debt and you pay interest (a “stability fee”) on it. The present rate is 0.5% per year, but MKR holders can change the rate through voting. With the current ratio, in order to create a CDP and issue Dai to themselves, issuers must lock up crypto-collateral worth at least $1.5. If the collateral value in a CDP drops below 150% of the outstanding Dai, the contract automatically sells enough of your collateral to buy back as many Dai as you issued. The issued Dai is thus taken out of circulation. A 150% collateral requirement enforced by auto-liquidations makes undercollateralization (less than 100% backing) of the entire Dai system quite unlikely. Dai only becomes undercollateralized if Dai’s total collateral value drops from 150% of the circulating Dai supply’s value to below 100% faster than the smart contract can act to buy back issued Dai for collateral. Note that Dai issuance is not initiated centrally, by the protocol or by Maker. Instead, every Dai that exists was minted because some user opened a CDP, locked up collateral and decided to issue Dai from that collateral, taking on debt in the process. This points to a fact that’s key to understanding Dai: the stablecoin system has two different user groups. Stablecoin users buy and sell Dai. But there’s also CDP consumers who open CDPs and issue Dai. Stablecoin users do not have to bother with the complexity of CDPs, interest rates, and Dai issuing, since once issued, Dai can be bought and sold on normal exchanges. In the next section we’ll look at what motivates CDP creators to issue Dai. Later on, in part 3, these motivations prove crucial for understanding Dai and are key to our assessment of Dai’s scalability. Dai users depend on CDP consumers to issue Dai. But why would anyone issue Dai? Dai issuers have to lock up more value in collateral than they get back in Dai. That may seem like a textbook bad deal. However, it can pay off in some situations. Issuing Dai on collateral is equivalent to taking out a collateralized loan, like getting a second mortgage on your house to fund a remodel. The main use case for collateralized loans is investment leverage. Here’s how you can use a CDP to leverage an ETH investment: Imagine you own $1,500 in ETH, and believe that ETH will double in value. You do not have liquidity to buy more right now but want to profit from your knowledge. First you lock up your $1,500 in ETH as collateral in a CDP. Then you issue 1,000 Dai against the collateral and acquire a 1,000 Dai debt. Next you sell the 1,000 Dai on an exchange for $1,000 in ETH. Through the CDP you now own $2,500 worth of ETH, including the $1,500 that’s locked up as collateral. Your initial investment is leveraged 1.66X. When ETH doubles, you sell it for Dai that you then use to repay your debt (with interest) and you can walk home with a handsome profit. You can also recursively repeat this leveraging process giving you up to 3X leverage. In practice, however, you will not get maximum leverage. That’s because you want more collateral than the 150% minimum amount. At 150% collateral, any drop in collateral value auto-liquidates your position. Because auto-liquidations come with a penalty, users will want to reduce their risk via keeping a buffer in their CDP’s collateralization ratio. For example, instead of issuing 1,000 Dai from $1,500 collateral, you might only issue 750 Dai and stay at 200% collateralization and 1.5X non-recursive leverage. A second CDP use-case is increasing short-term liquidity: You need money right now and have an asset to lock up as collateral in exchange for money. But why not just sell the asset? There are different reasons. Perhaps you think the asset will appreciate and so you want to hold on to it in order to profit when you sell it in the future. Or it may be that the asset is illiquid: You expect that you will get a much worse price for your asset if you don’t wait for the right buyer, and instead sell it right away. The final piece of the core mechanism for the issuance, backing, and burning of Dai is the one that controls what happens to CDPs when they don’t have enough collateral to stay above the 150% collateral-to-debt ratio. The process by which this happens is somewhat complicated. It involves two different on-chain auctions that try to raise enough capital to make the CDP debt free. To fully understand the process, you may have to spend some time thinking it through after reading it. If you don’t fully get it, don’t sweat it: full understanding is not necessary for following the rest of the analysis. Here is how it works: first, a “debt auction” tries to repay the CDP’s debt through MKR dilution. The debt auction buys Dai, paying with newly minted MKR. The Dai is burned, to cancel the CDP’s outstanding Dai debt. The purpose of the debt auction is to ensure that the debt is repaid even if there is insufficient collateral in the CDP to repay the debt. Simultaneously, a “collateral auction” buys MKR with the CDP’s collateral. The collateral auction sells enough collateral to cover the debt, accumulated interest (called the “stability fee”) and a liquidation fee. In Single-Collateral Dai, the liquidation fee is 13% of the collateral in the CDP — that is, they take 13% of the user’s locked up collateral capital when a user’s CDP gets auto-liquidated. The smart contract finally returns the remaining collateral to the CDP holder and burns all purchased MKR. The collateral auction counteracts MKR dilution from the debt auction. As long as the liquidated CDP is not undercollateralized and the smart contract manages to sell the collateral at market price, the collateral auction fully counteracts the dilution. MKR holders are also effectively paid the accumulated interest and the liquidation fee, through the burning of MKR tokens, reducing MKR’s circulating supply further. When the protocol buys and burns MKR tokens, the value of each remaining MKR token (presumably) increases. MKR burned is (arguably) equivalent to giving the burned value to MKR holders, pro-rata. Currently, in Single-Collateral Dai, you can only take loans on one type of collateral, ETH. But the mature version, Multi-Collateral Dai, is intended to have many different types of collateral. 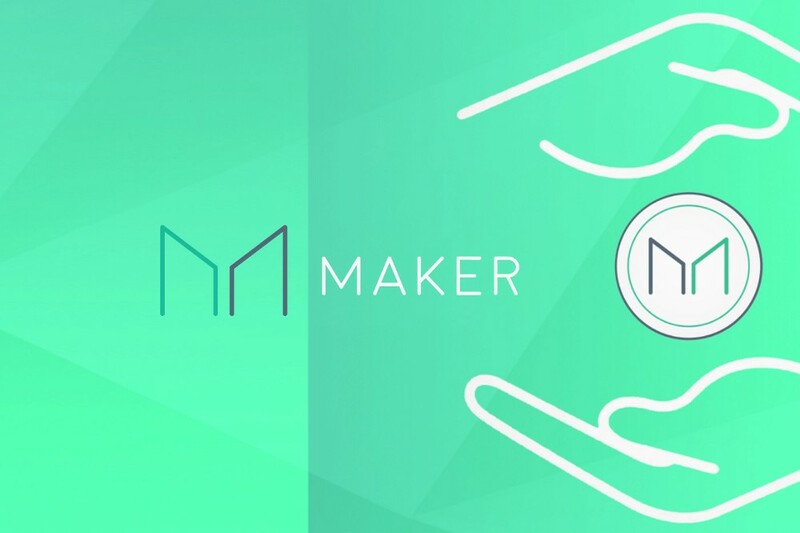 Maker’s plan is to let users issue Dai using not just ETH, or even other pure cryptoassets, but all kinds of tokenized real-world assets as collateral. Second, adding more collateral types can help protect Dai from crashes, through diversifying Dai’s collateral backing. With only one collateral type, Dai is sensitive to a crash in that collateral type’s value. When a collateral asset crashes in value, CDPs with that collateral start getting auto-liquidated. Dai issued by liquidated CDPs are taken out of circulation. Reduced supply temporarily limits Dai’s usefulness as a stablecoin. If the crash is rapid, CDPs are undercollateralized when they liquidate and MKR dilution is forced. If the crashing collateral asset is Dai’s only collateral asset, like in Single-Collateral Dai when ETH is the only admissible collateral asset, the crash can be catastrophic for Dai. With a diversified portfolio of collateral types backing Dai, the negative effects of a crash in one of the collateral types are mitigated, depending on what portion of the total Dai supply was issued from CDPs with that collateral type. Both the amount of Dai taken out of circulation and any Maker dilution happening will be proportionally smaller. The risk parameters are set through governance, and MKR holders can vote to add or modify a CDP type. Maker has plans to develop general risk frameworks that systematically determine risk parameters for CDP types, given their assets’ properties, and to use these frameworks as guidelines for setting risk parameters of new CDP types. A new CDP type can either contain a new type of collateral or a new set of risk parameters for an existing collateral type. Global settlement is an emergency shut-down function that helps stabilize Dai. It does so by freezing the Maker platform and stopping transactions. When global settlement happens, users can claim their share of CDP collateral. Dai holders are prioritized — they can claim collateral worth $1 for each Dai they own — and the remaining collateral, if any, is returned to CDP holders. Users have no time limit for claiming their collateral, but the amount they get is fixed at global settlement; the system uses the market price of collateral at the time of settlement to compute how much collateral each user gets. In Dai 1.0, a multisig wallet belonging to the Maker foundation has the power to trigger global settlement. In the mature system, triggering is decentralized and controlled by an elected council (“global settlers”). MKR holders vote both on who becomes global settlers and the number of global settlers needed to trigger settlement. Global settlement is intended to serve several purposes. When upgrading the system, settlement shuts down the old version. For example, global settlement will be triggered for Dai 1.0 when Multi-Collateral Dai launches. Settlement can also prevent or limit the damage from urgent vulnerabilities and attacks, such as bugs, hacks, security breaches, governance attacks, price feed attacks and “irrational” market behavior. In part 2 we’ll go deeper on how global settlement works as a stabilization mechanism for Dai. MKR is Dai’s equity and governance token; it functions like equity in the Dai system. Like equity holders, MKR holders get rewarded for holding MKR. They get paid the interest from CDP debts and auto-liquidation fees. (“Paid” is used liberally here — the interest and fees are used to buy and burn MKR tokens, which is intended to raise the unit price of MKR assuming a steady market cap.) However, they also take on downside risk. As we saw above in the auto-liquidation section, if a CDP gets auto-liquidated and the system is not able to raise enough Dai to cover the CDPs’ debt, then the MKR holders have to pay through MKR dilution: The system automatically mints new MKR tokens and sells them to recover enough Dai to pay the full outstanding debt. Like equity holders, MKR holders have decision-making power over Dai. In the mature system they can vote for proposals to change certain variables in the protocol. Votes can add or modify CDP types and elect global settlers. The MKR holders’ governance is especially central to Dai’s oracle system. For some operations, like auto-liquidations and global settlement, the Dai protocol needs to know the market price of Dai and collateral assets. It gets market prices through a price feed, provided by a set of trusted Ethereum accounts that act as oracles. MKR holders vote to determine the trusted accounts. They also vote to set a parameter that determines the maximum amount oracles can change the protocol’s internal estimates of market prices of Dai and collateral in a given amount of time (the “Price Feed Sensitivity Parameter”). This parameter is a safety precaution meant to give global settlers time to freeze the system in case of an oracle attack, before too much damage is done. MKR holders govern through periodic elections. Any ethereum address can make a proposal to be voted on, where a proposal is a smart contract designed to change the system’s governable variables. When the election happens, the proposal with most MKR votes is empowered with root access and allowed to carry out its proposed change to the system. This means that only one change can occur at each periodic election. Despite being backed by collateral, Dai is not stabilized by being directlyredeemable for that collateral. Instead, Maker intends Dai to be stabilized via other stabilization mechanisms. We’ll examine and review those mechanisms here. We will show that Dai, surprisingly, lacks strong stabilization mechanisms. Surprisingly, you can’t redeem Dai for the collateral that backs it. You can’t redeem 1 Dai for $1 in collateral from the Dai system, or buy 1 Dai for $1 from the system. This is surprising as one would assume that Dai’s price would stay stable at the peg because you can always exchange it for the collateral backing it. This would be a fair assumption. Usually, a collateral-backed coin is redeemable for collateral. You can go to the issuer and exchange coins for collateral at the peg value. You can also buy coins for collateral. For example, the stablecoin TrueUSD, which is backed with off-chain currency collateral, is redeemable; you can always redeem a TrueUSD for $1 from the platform. You can also send $1 to the TrueUSD platform and receive 1 TrueUSD in return. Global settlement expectations: When global settlement happens, Dai holders are entitled to the target value of Dai, paid in collateral. Expectations of possible future global settlement pushes the current price towards the peg. Stabilizing speculation: speculators re-peg Dai when they expect that the price will eventually return to the peg, absent their actions. Price manipulation by CDP creators: People who issued Dai at the peg have an incentive to repurchase Dai when the price is lower than when they opened their CDP, thus helping to bring the price up. When Dai is trading above the peg, CDP creators may want to create more CDPs. Also, CDPs can be auto-liquidated, which will put upward pressure on the price of Dai. Off-Chain Stabilization: Maker may use off-chain funds from MKR sales to stabilize the price through various means, effectively maintaining buy and sell walls for Dai. Let’s take a deeper look at Dai’s stabilization mechanisms before assessing them. Global settlement stabilizes Dai through the market’s expectations. The way it does this is a bit complicated, so we will go through it in two stages. First how Dai is stabilized in the case when global settlement is imminent, and then how Dai is stabilized in the case when settlement happens at an unknown future time. Imminent global settlement stabilizes Dai effectively. At settlement, every Dai holder is entitled to the pegged value ($1) of their Dai in collateral. If you bought Dai below the peg price, you profit from the settlement, so long as there is enough remaining collateral. On the other hand, if you bought it above the peg price, you lose money. So when global settlement is imminent, there is a strong incentive to trade Dai as close to the pegged value as possible. If some people, for whatever reason, decide to trade Dai off the peg, they will not be able to move the price much. Speculators who know about the imminent settlement will pump in capital to profit from the price difference, bringing the market price to the peg. A global settlement that will occur at an unknown point in the future stabilizes Dai in the same way, but provides less stabilization than an imminent settlement. The stabilizing effect is decreased because of the time-discounting of money: it is better to have the same amount of money sooner rather than later. So the further away settlement is, the less you lose from trading off the peg. A future settlement’s stabilizing power is proportionally reduced to how far into the future it is expected. Generally, it won’t be known for sure when or if global settlement will happen. Nonetheless, the market will have some expectation of the probability that global settlement will happen at various future times. These expectations will stabilize Dai, via the same mechanisms as imminent settlement and known future settlement. If the market anticipates a fair chance of settlement in the future, and trusts that the collateral will not fall too far in value before the settlement occurs, people will avoid making trades too far off the peg, and speculators will buy low and sell high when the price is off the peg in anticipation of profit from future settlement. Both of these trading behaviors will bring Dai towards the peg, when it is off the peg. Which brings us to the question of what expectations the market will have. Since settlement is triggered by global settlers, who are elected by MKR holders, the expectations of settlement probabilities will be determined in turn by the market’s expectations of global settler behavior and MKR elections. This setup leads to a lot of uncertainty. Elections, as well as the actions of elected representatives, are not fully predictable. Still there will be some rational expectations for global settler actions. The settlers will likely act according to the incentives of their representatives, the MKR holders, and a lot of MKR will be held by the Maker’s foundation as well as people in their network and people they can influence. Maker’s white paper says that settlement is meant to be a last resort for guaranteeing Dai’s pegged price. Presumably this means that they will settle the system if the Dai price goes too far off the peg for too long. They also give examples for other occasions when settlement is supposed to happen: “long term market irrationality, hacking or security breaches, and system upgrades.” These promises will likely in part determine the market’s expectations of settler behavior and thus the strength of global settlement stabilization. In sum, the stabilizing effect of global settlement is weaker when the market expects it to be a more rare and less imminent event. Conversely, the stabilizing effect is stronger when settlement is expected to be more frequent and imminent. This stabilization mechanism is problematic in that it is both fairly indirect and fairly limited. Because settlement is not governed by clear rules implemented in a smart contract, but instead depends on elections and human actions, there is a lot of uncertainty around when and if it will happen — except in extraordinary cases. The mechanism may be able to keep the Dai price from going too far off from the peg, but it is unclear how much it can reduce volatility closer to the peg. Stabilizing speculation is not unique to Dai — every functional stablecoin will have it to some degree. We’re briefly covering it here for completeness and because understanding stabilizing speculation makes it easier to understand Dai’s stabilization via CDP users and the expectation of global settlement. Stabilizing speculation comes in two forms: downwards stabilization, and upwards stabilization. Downwards stabilization happens via peg speculators selling Dai they’ve bought previously when the current market price is above the peg, or by borrowing Dai to short-sell it. Upwards stabilization happens via speculators buying Dai when it is below the peg and selling it at a profit if the price returns to the peg. Note that stabilizing speculation requires that the speculators who do it to have confidence in the market price returning to the peg independently of the speculator’s own actions. So this is a second-order stabilization mechanism: For it to work, there must be some other mechanism that ensures (or makes it likely) that the price will return to the peg in the future. Stabilizing speculation cannot be Dai’s primary stabilizing method. Thus, whether or not this mechanism works depends on Dai’s other stabilization mechanisms. When the Dai price is below the peg, CDP users with outstanding Dai may be able to profit through repaying their Dai debts cheaply. Anyone who issued Dai when it was at the peg (and then sold their Dai for ≈$1 in other assets) will be able to buy Dai at the market price and repay their debts for less than they received by selling the loaned Dai in the first place. Since the market price is below the pegged price, they get a discount and thus profit, as long as the discount is larger than the transaction fees and accumulated interest on their Dai debt. First: If a CDP holder previously wanted to lock up collateral and take a loan in Dai, and then closed their CDP because they were able to buy Dai at a discount, it seems likely that their next action once Dai is back at the peg would be to re-open another CDP — presumably whatever reason they demanded that position will not have changed. If this happens across many CDP holders at once, it could be that about the same amount of Dai that were taken out of circulation are then added back to circulation a little bit later. This would have an equal and opposite impact on the Dai price. Presumably some sort of equilibrium would emerge, where Dai trades a bit below the peg when demand for it as a stablecoin is trending downwards, and a bit above when it’s trending upwards. It’s hard to make predictions about something this specific, so we think only time will tell how this particular incentive pattern plays out. Second: Note that this trade does not exactly depend on the Dai market price being below the peg. It depends on the market price being below the Dai price from when you originally issued your Dai. So you can make this trade and profit whenever Dai drops. Should Dai face volatility and its price start fluctuating, while people keep using CDPs to issue Dai, this mechanism will not only not help much, but, in the worst case scenario, could actually cause increased volatility. An additional detail here is that, in a sense, this stabilization mechanism is secondary in the way that market-making is: If a CDP holder believes that the price of Dai is going to continue to drop, they may want to wait even longer to repurchase Dai and repay their loan for even more profit. So if the market believes, for some reason, that Dai is going to crash in price, this mechanism may be of no help. Suppose Dai is trading substantially above the peg, say at $1.20. For anyone who believes that the price will return to $1.00, there will be an incentive to open a CDP to short Dai. Bob locks up some collateral, borrows 1 Dai, and sells it for $1.20. If Dai goes down to $1.00, he repurchases the Dai, repays his loan, retrieves his collateral, and pockets $0.20 for free. But on further examination, we don’t think this is how things will play out. Suppose a bunch of people create CDPs in this circumstance with the plan of shorting Dai. They issue and sell 100,000 Dai in the secondary market, and the price starts to go down. Once the price of Dai goes as low as they think it will go (with may be $1.00, or some other higher or lower price), in order to earn their profit, they will have to repurchase those 100,000 Dai, bringing the supply of Dai back to where it was, and presumably bringing the price back up to where it was before. So again we see the same sort of oscillating incentive that occurs when prices are dropping — any time artificial demand for CDPs is generated by rising prices of Dai, we expect it to be a type of demand that is temporary, not lasting. And similarly to the incentive to close CDPs when Dai prices are dropping, the target price of $1.00 doesn’t necessarily carry any special meaning — what matters is where speculators think the price is going to move in the near future. If the price of Dai is $1.20 and they expect it to go to $1.30 soon, there will be no incentive to open CDPs for this purpose now, and if they have opened CDPs and the price is falling below $1.00, they may keep them open if they think it’s going to continue to go down. This is why we are concerned these incentives could actually end up adding to volatility, especially in choppy market conditions. Early on, the Maker team might stabilize Dai through off-chain funds. As the MKR token currently has a much larger market cap than Dai, they can sell off MKR tokens to generate off-chain reserves larger than Dai’s entire market cap. The team can then use the reserves to stabilize Dai in various ways. They could put large buy orders right below the peg (buy walls) and large sell orders right above it (sell walls) on exchanges. Alternatively, they could give large amounts of capital to bots that defend the peg in a more dynamic way. They could also use the funds for dynamic market making, to ensure that Dai markets have sufficient liquidity at whatever price they are trading at. However, off-chain stabilization cannot work as Dai’s primary means of stabilization. First, dependence on off-chain funds as the primary stabilization mechanism makes Dai centralized, like Tether. It would face the same problems as other centralized digital currencies, including counterparty risk, and the risk of getting its accounts frozen or seized and shut down by governments. Second, the use of off-chain funds for stabilization does not scale. If Dai is successful and grows to a very large market cap, the team may eventually not have enough remaining MKR tokens to fund sufficient off-chain reserves. It may be that Dai is currently being stabilized off-chain. Dai’s founder Rune has noted that a short crash in January was caused by a failure in one of their market making bots. It’s unclear exactly what funding source this bot is using. A very important implication of Maker potentially doing off-chain stabilization is that the peg’s behavior early on is not a good predictor of the peg’s behavior later on. This difficulty in assessment will apply to any stablecoin project that is in a position to raise and spend off-chain funds at the start. Dai’s stabilization mechanisms provide some stability, but none of the mechanisms are simultaneously strong and scalable: As explained above, global settlement expectations only provide limited stabilization. CDP users may stabilize Dai’s price upwards and downwards to some degree, but that mechanism depends on assumptions of the price moving in the direction that stability is needed already, and seems to produce oscillating forces. Off-chain stabilization is a strong option, but can only be done in the early days as it isn’t scalable. Finally, stabilizing speculation only works to the degree that there is another mechanism that provides long-term stabilization, so it will not be a strong stabilization mechanism unless there is already some other strong mechanism. We can conclude that despite Dai’s backing by decentralized collateral, it lacks strong stabilization mechanisms after the early days once Dai can no longer be backed by off-chain funds. As soon as it becomes large enough that off-chain stabilization won’t work, the protocol may be able to keep Dai from going too far off the peg, but, closer to the peg, we expect that Dai will become volatile. And then of course there is always the risk of true black swan events leading to a very fast devaluing of the underlying collateral, where the backing goes below 1:1 before a global settlement can be carried out and Dai holders are not made whole. Now that we’ve understood the components of Dai and seen the Dai system’s stabilization mechanisms, we’re ready to generally assess Dai’s prospects as a stablecoin. Demand for a stable cryptocurrency might be extremely large. Such large demand can only be fulfilled with both adequate scalability and adequate stability. Does Dai adequately fulfill these requirements? There is a lot of potential demand for stablecoins. It’s unlikely that the Dai supply can grow large enough to serve more than a fraction of the stablecoin demand, because it will likely never have enough backing collateral in CDPs to match the demand for stablecoins. Dai is issued by users who take on debt through CDPs and thus Dai’s supply is limited to the total amount of debt that CDP users have. So if there’s not enough collateral locked up in CDPs, there will not be enough Dai to go around. Two factors limit Maker DAO’s ability to get enough collateral locked up in CDPs. To begin with, demand for CDP debt is limited. In addition, Maker will have to set limits for how much CDP debt users can take on that are probably even lower than the natural demand in order to maintain good collateral diversification. Let’s look at those two factors in turn. Maker plans to get enough CDP usage by offering CDPs for a wide range of collateral types. Currently, in Single-Collateral Dai, only ETH is accepted as collateral, but in the mature version, many other volatile cryptocurrencies will also be accepted. For example, Maker has already decided to include OMG CDPs in the mature version. In addition to volatile tokens, Maker plans to offer CDPs for tokens that represent assets, so-called “tokenized assets.” For example, Maker will accept the newly launched Digix tokens as collateral. Each Digix token represents a certain amount of gold, and can be exchanged for physical gold from the company that issues the tokens. Other than gold, Maker hopes to offer CDPs in a wide range of other tokenized assets, like other precious metals, stocks, and bonds. The idea is that collateralized debt in a tokenized asset can function like collateralized debt in the asset itself. If other parties tokenize assets and Maker then offers CDPs for the assets, Maker may be able to get a foot in the door of much larger traditional lending markets. Our sense is that this is unlikely to work. Why? Well, there are two main nearby use cases for collateralized debt: leverage and borrowing money with your investments as collateral to get short term liquidity. Out of these two, the more common use case is leverage. We worry Maker will likely not be able to capture enough demand for leverage, through neither CDPs in crypto nor CDPs in tokenized traditional assets. Maker’s ability to access consumers in traditional lending markets is beset by three challenges. The first challenge is the risk that no one manages to tokenize relevant traditional assets. Maker can only offer CDPs in a wide range of off-chain assets if efforts to tokenize those assets succeed. Although there are well-developed asset tokenization projects for gold, like Digix and Royal Mint Gold, it is less clear when there will be reliable tokenizations of stocks, bonds or other commodities. While there is a non-zero risk that it will take years before we have credible tokenization of traditional assets, there’s no insurmountable barrier to the tokenization of these asset classes and lot of people are working on it. Thus, Maker gets a pass here. The second challenge is that there needs to be enough demand for leverage in the traditional asset types. Most traditional lending markets are in assets that are hard to tokenize, like real estate. The amount of demand for leverage in assets that are easier to tokenize, such as precious metals and securities like stocks and bonds, is lower. Still, it may be that there’s enough demand for Maker to be able to scale to a decent size, so we’ll give them a pass on this challenge as well. Finally, there is competition. This is the key problem for Maker. Even if tokenization efforts succeed and there is a lot of demand for collateralized debt in tokenizable traditional assets, Maker can only capture this large demand by overcoming the competition from other issuers of collateralized debt. Maybe Maker is out of the race for traditional lending markets, but what about crypto markets? Maker’s initial CDP use-case, in the crypto world, looks promising. Out of people who hold crypto assets, a fair proportion may want to leverage their assets. Not only that, but there’s no tokenization challenge and there are not big entrenched competitors offering crypto leverage. Unfortunately, the crypto world offers a different challenge — size. Today’s crypto market is too small. As of today, the combined market cap of all crypto assets listed on coinmarketcap is less than $300 billion. Let’s assume that Maker’s mature version will be able to include CDP types for crypto assets that cover 50% of the crypto market cap, and people want to put 10% of all tokens in CDPs. Then, with a 300% average collateralization they’ll have a maximum Dai market cap of $3.3 billion. That’s barely enough to fulfill Tether’s current use case in crypto markets and nowhere near being able to provide a stablecoin that can be used as a global currency. It looks to us like Dai itself can’t play the role of the main stablecoin unless #1 comes true first. In other words, the rise of Dai looks like it can only happen coincidentally or after the rise of other volatile cryptoassets as a store of value. And then it would need to be that the most popular method for going margin-long on those assets was Maker CDPs. Let’s see how big Dai can get from CDP users in the crypto world by looking at how Dai’s current ETH CDPs do against the competition. The competitive context for ETH leverage should be similar enough to the competitive context of leverage in other volatile crypto assets to give us an idea for how well Maker can capture collateralized debt demand in the crypto world. In addition to giving us a sense of Dai’s future, this also shows more concretely how issues with competition play out. Crypto lending markets are less mature than lending markets for traditional off-chain assets. Still, Maker faces some competitors. Major crypto exchanges offer leveraged trading. Futures contracts on crypto are become more popular. There are also peer-to-peer lending services like SALT lending. Maker has two main advantages over existing crypto leverage competition. First, on-chain lending has low counterparty risk. That gives Maker an advantage over some exchanges with significant counterparty risk. Low counterparty risk ensures that Maker won’t steal, misuse, misallocate, or just plain lose assets (assuming no bugs). Second, Dai has very low interest rates. Currently, Dai borrowers only pay 0.5% annually, making it cheap to borrow. On the other hand, Maker also has some disadvantages compared the competition: low maximum leverage, lack of standard margin calls, and an auto-liquidation penalty. Maker offers lower leverage than competitors. You can get up to 1.67X leverage through Maker’s ETH CDPs, but for example, Bitmex, offers up 100X leverage. Not only that, but Maker punishes borrowers significantly more than usual institutions. In traditional institutions, borrowers are often offered margin calls. When a user’s collateral to debt ratio drops below a limit, but before the institution liquidates the user’s collateral, the institution will ask the user to provide more capital. Maker, in contrast, does not offer any such margin calls. Instead Maker just automatically liquidates users CDPs when the collateral value drops below the minimum collateralization ratio. The Maker team told us they intend to add a short delay before auto-liquidation, which would allow users to set up their own margin-call system. That seems like a good compromise. But the platform still has the aforementioned auto-liquidation penalty of 13%, which makes CDPs more risky than some other collateralized debt providers. Given this, what debt market segments can Dai capture in the crypto world? Short-term traders care more about how high leverage they can get than what annual interest they pay, so they will not use Maker. In other markets, like the stock market, short-term traders may be the largest category of leverage users, so this is a big loss for Maker. Another important market segment is institutional investors. They can frequently get leverage for free on prominent crypto exchanges. Given the simplicity of this alternative and the fact that these institutions are used to trusting counterparties in other markets, it seems unlikely to us that Maker’s lower counterparty risk will be a compelling reason for institutions to choose Maker over these exchanges. This is why we think Dai will have difficulty getting a lot of crypto CDP demand from either traders or big investors. It seems to us that Maker is left with the potential collateralized debt demand from long-term retail investors who do not want high leverage. But even among these groups, Maker will have competition from on-chain peer-to-peer lending and other collateral based stablecoins, such as supply chain stablecoins like Sweetbridge. To win as a stablecoin, Maker needs to build a very large CDP market from the aforementioned sources, while competing with other debt providers. That does not look impossible, but it doesn’t look promising either. On the flipside of this line of argument, there may be an advantage to the fact that demand for Dai is decoupled from the demand for CDPs. Suppose it takes a while to educate the broad array of markets about the existence of stablecoins and for all of them to start using them. By the time they decide to do so, how will they choose which of the many stablecoins to pick from? One simple metric they may use is: which has the largest supply (and thus is apparently trusted by a lot of others already)? If CDP demand outpaces organic stablecoin demand, Dai could outpace other stablecoins in market cap during this pivotal juncture. At the moment though, TrueUSD is leading Dai a bit in market cap and a lot in trading volume. Maker can try to avoid this problem by including a mechanism to increase CDP demand by offering CDP holders a negative interest rate. In other words, somehow pay CDP holders to open more CDPs. When we spoke to the team about this part of our critique after showing them our draft, this was their proposal for how to handle the issue. Instead of needing to pay an amount of interest on CDPs in MKR, CDP holders could be paid a steady interest rate in newly minted MKR. This would incentivize CDP creation and holding. But it would steadily dilute and decrease the value of MKR tokens, so probably isn’t a viable option. When a CDP is closed, the CDP holder could be charged less than 100% of the Dai, so that they would earn a profit even if there had been no change in the value of the underlying collateral in the CDP. This would leave some Dai in the Maker ecosystem unbacked though, since the portion of Dai that was not burned when the CDP was closed would just be left in circulation with no collateral having been locked up to back it. This could eventually lead to the system being undercollateralized, which we don’t expect the Maker team would tolerate. Dai holders could be charged a direct tax to hold Dai. The amount of Dai associated with your key would just go down over time, and the balance of a contract meant to pay CDP holders to open more CDPs would increase accordingly. This could also be done with transaction fees. This seems like the most promising of the three routes we were able to come up with. The question would be: How much would these taxes have to be? Would they end up incentivizing enough CDP creation while being relatively low, or would they have to be high enough that Dai demand would go down dramatically? If the latter, then this would still solve the problem of having CDP and Dai demand match up, but mostly by decreasing Dai demand rather than increasing CDP demand, which is’t really the intended outcome we would be looking for. We think the end result is the same as without a negative interest rate: Dai’s market cap and scaling potential is ultimately limited by the natural demand for CDPs. In addition to limited CDP demand, there’s a second factor limiting Dai’s supply: Dai will have to forego CDPs’ demand in order to preserve its collateral diversification. Dai needs diversified collateral. This is the reason for the change from Single- to Multi-Collateral Dai. Without diversification, Dai is much more sensitive to black swan events. Proper diversification doesn’t just require Dai to have many CDP types, it also requires that each CDP type has the right proportion of the total collateral locked up in it. For example, say that an ideal portfolio diversification for Dai’s collateral assets is 25% in ETH, 10% in OMG tokens, 15% in other volatile tokens, 25% in tokenized gold, and 25% in tokenized silver. To be well-diversified, Dai then needs users to have locked up the right amount of collateral in each asset type. The problem for Dai is that it is unlikely that users’ demand for debt for a CDP type will mirror the proportion of that asset that Dai should have in a well-diversified portfolio. Dai’s only way to balance its diversification is to limit the proportion of total collateral that’s allowed in each CDP type. They explicitly talk about setting relative “debt ceilings” for this exact purpose. For example, say 45% of CDP debt demand is for ETH, 15% is for OMG, 30% is for other volatile tokens and only 5% of the demand is for tokenized gold and 5% of the demand is for tokenized silver. Then Maker can achieve ideal diversification only by limiting ETH to 25%, OMG to 15% and other volatile tokens to 25% of the total collateral. That ensures that 25% of the assets are in tokenized gold and 25% of the tokens are in tokenized silver. Limiting CDP types makes Dai’s collateral portfolio well diversified. However, it comes at a cost. In our example Dai’s total CDP collateral is reduced by 80%, and so is Dai’s maximum supply. So Maker faces a dilemma: they must either sacrifice Dai’s resilience or its scalability. As Maker has generally made the most responsible design choices, Maker will most likely choose to sacrifice scalability in an attempt to minimize the risk that users lose money. The dilemma gets even worse if a lot of CDP demand is for CDPs in traditional cryptoassets, rather than in tokenized assets. That’s because volatile cryptoassets’ prices are strongly correlated. For the purpose of diversification, all cryptoassets should be treated almost as if they were the same asset. So Maker needs to balance all the volatile cryptoassets collateral with comparable amounts of other collateral in uncorrelated assets. To do so, they need restrictive limits on how much CDP debt users can take on in the volatile cryptoassets. Just how much the need for diversification lowers Dai’s maximum supply depends on Maker’s choices and how well actual demand for CDP types matches the desired diversified portfolio. Where does this leave Dai? We think that Maker’s issues with overcoming the competition to generate substantial enough CDP demand, and the difficulty of capturing a lot of that demand while still diversifying their collateral backing make it unlikely that Dai will be able to scale well enough to become a global currency. Of course there is some chance that Maker gets lucky and Dai scales to a large size by somehow capturing a substantial part of traditional debt markets. If it did, then the assessment of Dai would depend on its stability. We’ll look at how Dai fares in that domain next. A common concern with the Maker DAO system is whether it is able to handle large collateral crashes. After all, cryptocurrencies are very volatile and sometimes crash really hard. A bad enough crash could cause Dai to become undercollateralized, drop below the peg, and make Dai holders lose capital. However, Dai is more resilient to crashes than it seems. First we’ll show why — there are three reasons — then we’ll assess the remaining dangers. Since the system currently has a 150% collateral to debt ratio, at first glance it looks like Dai could become undercollateralized if a crash drops the collateral value by more than a third. However, most discussions of Maker miss three factors that make Dai more resilient than it seems at first blush. First, it’s really bad for CDP holders to get auto-liquidated. In addition to their collateral losing a lot of value, they also have to pay the 13% penalty. This penalty strongly incentivizes CDP holders to do what they can to avoid auto-liquidations. (We only really grokked this after we made some and felt the incentive viscerally!) As mentioned earlier, CDP users will want to have a decent buffer between their CDP’s collateralization ratio and the liquidation ratio. Furthermore, users are incentivized to keep track of when their collateral value drops and to do what they can to increase their collateralization ratio when it happens. They can do this either by buying and adding more collateral or by buying up Dai to pay off their debt. Second, there is a decent buffer between the liquidation ratio of 150% and the point where Dai becomes undercollateralized at less than 100% overall backing. As individual CDPs drop below 150% in a crash, the system will attempt to auto-liquidate them right away and take all the Dai that they issued out of circulation. Because of this, Dai can stay above 100% collateral backing even in a big crash. Dai only ends up undercollateralized if a crash is rapid enough that the system is unable to close enough CDPs and buy back their Dai before the collateral assets crash so far that overall system collateralization drops below 100%. Third, Maker intends the mature version of Dai to have diversified collateral backing. If Maker’s plan is successful and Dai gets backed by several types of uncorrelated crypto assets, then Dai should be resilient to crashes. For example, say Dai’s collateral has three uncorrelated assets which are roughly equal in size: cryptocurrencies, tokenized metals, and tokenized stocks. Then even a large and rapid collateral crash in one of the collateral groups only reduces Dai’s collateral backing by a third. In this scenario with an average collateralization above 150%, Dai shouldn’t become undercollateralized unless more than one uncorrelated collateral type crashes at once. So we should expect the Dai system to be a lot more resilient to crashes than it might seem. But not totally so. Even though Maker intends Dai to be well-diversified, it is unclear whether they will succeed. As with cryptocurrencies, many other asset classes are correlated to some degree — economic downturns, for example, are known to hit many asset classes simultaneously. If Maker does not succeed in diversifying Dai’s collateral backing, it won’t be as resilient. Even normal collateral crashes will cause problems for Dai. Without diversification, crashes will hit a large portion of Dai’s backing assets at once. This will force CDPs to auto-liquidate and possibly take a large proportion of Dai’s supply out of circulation as the protocol tries to buy back and burn the liquidated CDPs’ outstanding Dai. During a cryptoasset crash there will be a lot of extra demand for stablecoins as speculators hurry to move their investments from volatile assets to stable assets. (This happened in the case of NuBits.) Reduced supply combined with increased demand will push Dai’s price above the peg and make it unsuitable for stablecoin users until the Dai supply recovers — if you are trying to avoid losing your value in a crash, you don’t want to buy something that’s pretty guaranteed to go down. Historically, other crypto backed stablecoins with auto-liquidations have had this problem. For example, look at the market histories for BitUSD and BitCNY. They are both implementations of BitShares’ “BitAsset” concept, which was an inspiration for Dai. As we can see in their market histories, when their backing asset, BitShares, crashes in value, their price rises above the peg and their supply decreases. Things get really bad for Dai if a crash is both big and rapid. This is why Maker is thought of as sensitive to black swans. In such a crash neither users nor the Dai protocol will be able to buy back enough outstanding Dai rapidly enough to prevent Dai’s overall collateralization ratio from dropping below 100%, making Dai undercollateralized. Global settlers may or may not trigger global settlement before Dai becomes undercollateralized. However, even if they manage to settle before undercollateralization occurs, this may not help Dai users much. Settlement entitles users to $1 in collateral after settlement is processed. But the collateral will still be rapidly crashing in value, even if Dai is settled. It may be hard for the Dai users to extract their collateral from the protocol and sell it on the market before the collateral value drops so far that they’ll be unable to get a dollar’s worth of collateral for each Dai. In sum, Dai should be pretty resilient to normal collateral crashes. However, if Dai isn’t well-diversified, which it may not be, it will still be vulnerable in some cases. Normal crashes temporarily limit Dai usefulness as a stablecoin, but in really bad cases, like black swans, Dai holders could lose a notable portion of their money. Maker is the grand old man of stablecoins. They have been there, taking on the challenge of stability for real, for years. Their system keeps evolving as they fix problems and iteratively improve their protocol. However, they don’t always show perfect judgement and it takes them a long time to correct the mistakes that causes. An example of such a mistake is the Target Rate Feedback Mechanism (TRFM) which we referred to in the first section, and which Maker previously planned to include in the mature version of Dai and only recently withdrew. The TRFM is prominently described in their current white paper, but it is now no longer meant to be part of the Dai protocol. However, the code will be kept around, to make it possible for MKR holders to vote it in, in the future, as part of a governance decision. This is unfortunate as the TRFM is badly designed from a process control theory perspective. Process control theory is the design of algorithms to control processes like steering ships, cruise control in cars, and temperatures of components in chemical plants. In this case the variable to be controlled is Dai’s price. The TRFM is poorly designed because the way it is set up makes it prone to cause the Dai price to oscillate. Oscillations are very bad for a stablecoin, for obvious reasons. Maker absolutely made the right decision in cutting the TRFM. This was good and a step in the right direction. Cutting the TRFM both removes a potentially problematic mechanism, and makes the Dai protocol notably more understandable. This improvement is just one example of many, in a general trend where the Maker team has slowly, carefully, and steadily kept improving the Dai system, not afraid of changing things up or admitting mistakes. However, it is problematic that Maker planned for such a long time to include the TRFM in Dai. It exemplifies imperfect judgment, and demonstrates the fact that it takes Maker a lot of time to develop and improve their system. Both of these tendencies are characteristic of Maker, and thus what we should expect from them in the future. Though Maker has thus far been successful, this characteristic slowness to do away with mistakes leads us to think that Maker will not be able to keep up with an increasingly competitive stablecoin space. Whatever the future may hold, Dai is probably the best current algorithmic stablecoin. In addition, they have been responsible in their design, ensuring no great negative consequences are likely to come from any adoption of Dai that does occur. For that, the Maker team has our great respect.